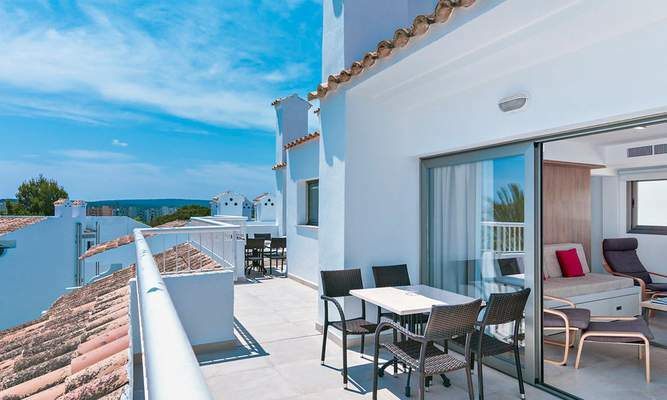 Find out what's buzzing in Majorca and read the news concerning the Ca's Saboners Apartments. Spring holidays 2019: this is why Mallorca is the best place to visit! We can already see spring kicking in! Are you ready for it? Because we definitely are! Booked for Spring this year: this is what you can expect! Half board at Cas Saboners: all you need to know! Good news: 2019 season extended! Ready for some beach sports when visiting Mallorca? FUN is written with a capital F at Cas Saboners! News for 2018: renovated restaurant and half board & bed & breakfast options! You’re in Mallorca. You’re on holidays. You’re at Cas Saboners so we take care of EVERYTHING! Don’t you feel like time always seems to fly by when you’re living your best life? At Cas Saboners we certainly feel like there’s always something to look forward to and we just can’t believe it’s already SPRING. Can you believe it? We must say we absolutely LOVE spring . To be honest, it’s our favorite season of the year. Here on the island spring is really special: the sun shines, nature looks its best, the island seems to just lighten up & everything is just marvelous. If you’re visiting Mallorca in spring, here’s a couple things you need to know. First of all, the weather. Even though Mallorca doesn’t have especially cold weather, in Spring the warmer weather starts kicking in, offering you the possibility of enjoying outdoor activities. These can go from cycling to hiking, but you can also try something new like sailing, golf or rollerblading. There’s something for everyone! Another fun thing you can do when visiting Mallorca in spring is charter a boat . You can be captain for a day! There are tons of possibilities in different ports all over the island. Mallorca in spring also offers tons of interesting activities to enjoy with the family, such as visiting the Aquarium, enjoy the Pirates Adventure show or go mini-golfing. And, last but not least, there’s of course the Cas Saboners experience. During spring we’re fully focused on offering the best holiday we possibly can. This means: tons of fun activities for grown-ups and children, superb gastronomy at our restaurant, fun in the pool and at the playground and delightful shows in the evening to sing & dance! Are you ready to visit Mallorca in spring? We’ll be happy to have you at Cas Saboners, your aparthotel in Palmanova! Here’s something you already knew: we LOVE kids. We love having them spending a great family-holiday at our hotel and we completely love the way they are always smiling when staying with us at Cas Saboners..
That’s actually no news at all. But the BIG news is that we’re now OFFICIALLY CHILDREN-FRIENDLY! Yuhu! But what does this mean? Children Friendly s the distinctive rewards to accommodation worldwide for its adaptability in welcoming families with children. The ‘Children-Friendly’ experts personally visit each accommodation evaluating the points related to facilities, services, security, treatment of families and respect for the environment. And guess what? They’ve decided that we are 100% children-friendly! We couldn’t be happier about this! Every year we think of new ways not only to entertain your kids, but also to make a stay at our hotel as easy as possible for adults traveling with children! We just know that you’re ALL on holidays and this means that all of you deserve to have a great time, be able to rest and go home feeling better and happier. At Cas Saboners you’ll find kids-friendly facilities, tons of activities, a nice staff welcoming your kids and, of course, comfy apartments and a nice restaurant to enjoy a holiday with your children. Being a part of the ‘children friendly’ label means that we are part of a selected group of accommodations perfect to welcome families. Comfortable, functional and fun. Everything you need to enjoy family! Because, family ALWAYS goes first, right? We’re looking forward to having you at Cas Saboners this year! Spring on the island is just amazing: perfect weather, not so many people, long and warm days with a nice breeze and just good mood everywhere you go! 1)	Mallorca is a Paradise for children and adults. Are you going on a family-holiday? Mallorca happens to combine everything kids love with everything grown-ups love. From fun activities for kids like visiting a water park, heading to Katmandu (a fun theme park only 3 minutes away from Cas Saboners), playing mini golf, experiencing the ‘Pirates’ adventure show or go go-karting, this is the place to truly offer them an unforgettable experience. 2)	Majorcan weather. Yes, this is a BIG reason why you will choose Mallorca for your next holidays. Majorcan spring is like most of Europe’s summer. We enjoy 20+ degrees every day, even though we can still have some cloudy or rainy days every now and then. There are tons of visitors who even dive into the Cas Saboners pool or take a dip in the sea during spring. So yes, Majorcan spring is just the perfect weather for a holiday! 3)	A breath-taking landscape. There are not so many places as beautiful as Mallorca. With over 300 beaches, this place is just a dream come true. White sand, crystal clear water. Just thinking about it already makes you feel like you’re on holidays, right? Well, there’s more. It’s not only about beaches. 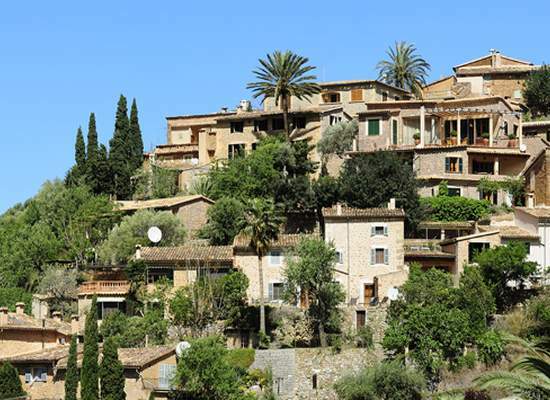 Mallorca is also home to an UNESCO protected mountain range called ‘Serra de Tramuntana’, where you can find little towns perched on hilltops like Valldemossa, Deià or Fornalutx. This is the final combo: beaches, mountains & beautiful towns and villages. To be honest there are plenty of reasons why Mallorca is the perfect place to come for a spring holiday and one of them is because at Cas Saboners we love to have you as guests! Our aparthotel in Palmanova offers you the best value for money for an idyllic holiday on this beautiful island! We can’t believe how fast Winter has been going by this year. It’s almost as this time Winter on the island knew that we were opening this soon! We’ve been enjoying some lovely sunny days (even though the temperatures are still pretty low). . But we definitely feel that spring will make an anticipated entrance this year. What do you think? Well, but with nice or regular weather, one thing has been decided a long time ago and that is: Cas Saboners is opening on the 1st of March.. Starting on March, the 1st we will be ready to give you everything you’re used to getting at Cas Saboners: comfy apartments, a great entertainment service, tons of activities for children, superb facilities and (the big news of last season), the half-board option. .
We want you all to feel as good as possible at Cas Saboners, which is why every season we upper our game more and more. We want you to enjoy the holidays of a lifetime when you visit us with your kids, with your whole family, with your significant – other or with your group of friends. Because Cas Saboners is all about making you feel right. .
At our aparthotel in Palmanova you will be able to choose your favourite apartment: we’ve got the superior apartment (45m2 of comfort for you), the Premium apartments on the ground floor, the family apartment and our suite heaven. So, as you can probably guess, there is something for every family and something for every budget! . And if you decide to book half-board, you’ll be pretty much covered for the day. You’ll have an amazing buffet breakfast including everything we love about your gastronomy mixed with everything we love about our gastronomy. And for dinner we’ll present all our spectacular dishes from all over the world to you and your loved ones. Believe us when we say that you’ll be happy to book half board! . One thing is for sure: all our guests just love Mallorca. And we can’t really say we’re surprised, because this Mediterranean island is really easy to love. Its amazing landscape, its beautiful colours, its authentic charm, its nice people… what’s not to love about Mallorca? And every season of the year has something special to it! So if you’ve booked your holiday at Cas Saboners this Spring, this is what you can expect!. Spring is one of the most wonderful seasons on the island. 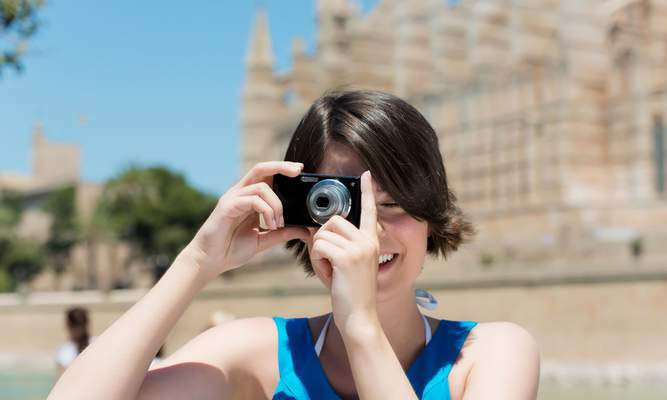 Warm temperatures and sunny days are the starting point for a spring holiday in Mallorca. The weather is just perfect, as there are days it’s hot enough to dive into the ocean, but you still got some windy afternoons to just go for a hike or even hop on a bike! Another wonderful thing about spring on the island is that there are not so many tourists here. Even though we love summer in Mallorca & all the lovely people who come stay with us, spring has a different feel to it. This time of the year presents a unique opportunity to explore the island in a more intimate way, fall in love with the unknown corners and just discover everything Mallorca has to offer. And if you’re thinking about what to expect at Cas Saboners during spring, we must say: the usual! Delicious gastronomy at our Cas Saboners restaurant (if you can, book half-board, you won’t regret it! ), fun live music shows at dinner time, tons of activities for adults and children, superb facilities, comfy rooms and just a big amount of holiday fun! That’s how we do it & we’re looking forward to having you spending your spring holidays at our aparthotel in Palmanova, so don’t hesitate any longer and book it for the best price on our web! at Cas Saboners. Year after year we got many guests asking us about when we would offer it and we must say: we can’t be happier about the feedback we got in 2018! At Cas Saboners we are always reaching for the highest quality possible and this is why our half-board service is now the best option when booking a holiday at our hotel in Palmanova. Having breakfast and dinner already included when on holidays is a big step to absolute and complete happiness. We have to agree on one thing: when on holidays we don’t want to really think about where or what to eat. Well, our half-board option solves that problem. You’ll have a spectacular buffet breakfast and buffet dinner included! The best part? The buffet includes EVERYTHING you already love from home & adds tons of Mediterranean options to fall in love with. So this 2019 season will be the half-board season at Cas Saboners, that’s for sure. We have had amazing feedback regarding not only the food at breakfast and dinner, but also the restaurant itself. And this has been a true blessing, because what would we do at Cas Saboners without our happy guests? Customer experience is crucial for everyone at Cas Saboners and we can’t wait to keep improving our services and offering more and more options to our guests! , you won’t ever go back to self-catering! It’s that time of the year. Beautiful lights take over every city, children get excited about Santa coming soon and all of us enjoy the magic of Christmas. What is there not to love? Long family meals, gatherings around the chimney, delicious dishes prepared by the cook in the family. It’s the wonderful spirit of the holidays! And if you really want to take your Christmas to a whole new level, here’s the most amazing present idea ever: give your family a holiday for Christmas! We all love going on holidays and we have also realized that we have enough things. We’re sure your kids have tons of toys, your hubby or wife have enough nice shoes and there is no need to think about one other material thing to give each other. So why not give the wonderful present of shared holiday memories? When on holidays everything stressful disappears and it’s finally just you and your loved ones having a good time. So this Christmas we suggest you surprise your sister, brother, husband, wife, mother, father, aunt, uncle or cousin with a wonderful family holiday at Cas Saboners. You already know that once you’re here we will take excellent care of all of you! There are tons of activities for the kids going on, we’ve got plenty of music shows to enjoy in the evenings, we’ve also got the half-board option now for you to have breakfast and dinner at our spectacular buffet. So there will be no time to get bored! You can choose which apartment suits your family best and start planning that 2019 holiday already! It will be just a matter of waiting for the holidays to come, pack your bags and enjoy the best Christmas present! Remember that you’ve got some exclusive benefits waiting for you when booking your 2019 holiday directly on our web! December is here. And the Christmas lights. And the magical time of waiting for Santa. And the oh-so-beloved Christmas markets too! At Cas Saboners we’re closed at the moment, but some of us and probably some of you are still around, which is why we would like to tell you that you shouldn’t miss the opportunity of visiting a Christmas market when in Mallorca! Because: what’s not to love about Christmas markets? Delicious food, a lovely atmosphere, tons of activities for children, stalls filled with beautiful present ideas… it’s just heaven! And as we love Christmas markets so much, we’re ready to tell you which one are our favourites. 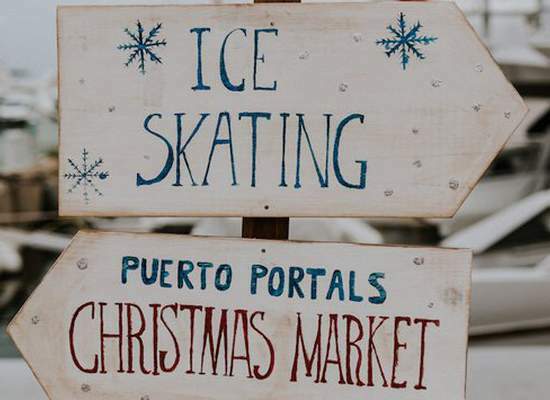 Puerto Portals Christmas Market: Arts and crafts as well as performances by dancers and a varied and exquisite international Christmas cuisine. A great place for Christmas shopping or just a place to soak up some festive spirit. Workshops and shows for children will also be held every day! 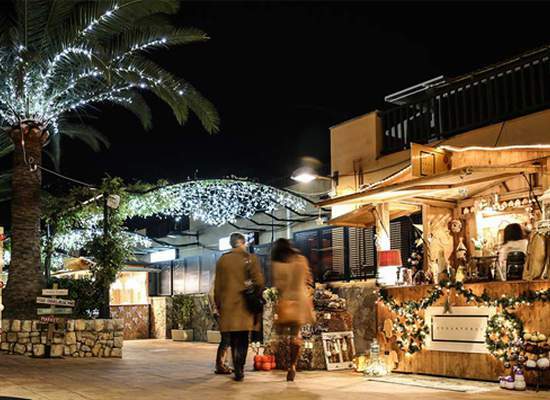 Christmas market at Pueblo Español: The charming Pueblo Español, a reconstructed Spanish village near the centre of Palma, turns into an outdoor market at the beginning of December. Over 80 stalls selling hand-made gifts and decorations will be available, as well as food, drinks, live music and a lot more. Christmas market in Santa Ponsa: It’s one of Mallorca’s largest Christmas markets and it is held, mainly, by Germans who took a piece of their own ‘Weihnachtsmarkt’ from Germany and brought it directly to Santa Ponsa. Kids have tons of activities to join, there are many stalls with delicious food and great present ideas. So choose your favorite and have a look at the wonderful Christmas markets Mallorca has to offer this time of the year! Enjoy the holidays! Wondering what to do on one of the days of your long week or two stay? We have just the option to do something different to the standard sunbathing on the beach or drinking cocktails around the pool (if it is possible to have had enough of that). The WaveHouse, in Magaluf, is a great place to spend the day with friends or family and try out your skills at surfing or body boarding! There are two wave machines there where you can pay for 1 up to 3 hours to give it a go, as well as an instructor there guiding you through each step to make sure you can step away afterwards having learnt a thing of two! One of the wave machines is smaller than the other therefore the experts have their separate one to the beginners. Which can also be good fun to watch the experts surf away all day, doing turns and tricks, whilst sipping away on your cocktail or having a bite to eat! The WaveHouse also has a couple of restaurants where you can have lunch or dinner, as well as a Surfing store with lots of variety of trendy summer gear. Being right on the beach, you can quickly take a dip in the sea or stroll on the sand if you feel like it. You can also take a wander around the stores it has nearby, as there are many! Before going you should check for any special events taking place at the WaveHouse that week as these are definitely worth going to. Either a surfing expedition or live music. All this at just a short walk away from your hotel. , particularly for those who enjoy water sports! . There is the beach of Magaluf and the one of Son Matias in Palma Nova where you can enjoy all kinds of water sports. There are activities placed at the side of each beach that can keep you occupied all holiday!. You could, for example, pick up a banana boat for a ride! 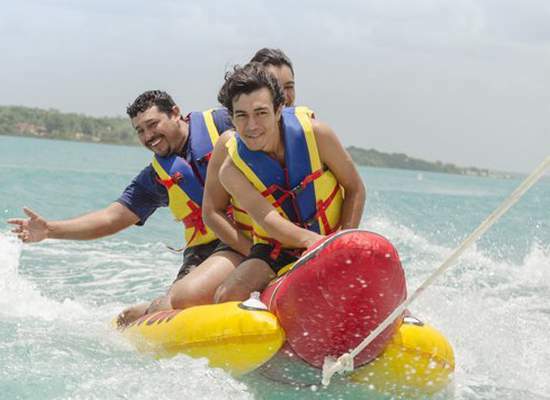 Join a session with your friends or family, and perhaps a few other holidaymakers, to jump on the banana that is trailed behind a small speed boat that will take you around the bay. It can go pretty fast so make sure you hold on tight! They might sneakily take a sharp turn and try to make you fall off. This is good fun for everyone!. which is what looks like a floating mattress! Two or three of you can fit on this per session. It also goes quite fast, so much so that you could end up flying in the air for a moment! Lots of laughs for you and your friends as you see each other holding on as hard as you can. .
directly from the beach, to take out to sea to sunbathe, swim and also get some exercise done! You can even choose the one with the slide that runs off the back which can be good fun for the whole family. You can pedal your way across to the island in the middle of Magaluf bay where you can even jump off and have a good swim, see Magaluf from a different perspective! .
. A great way to discover Magaluf by air. Trailed along by a small motorboat once again, but this time you and a partner elevate out of the water and end up high enough to see over the whole of Magaluf and Palma Nova. Such a fantastic experience to remember of your holiday. .
We’re all about holidays. Because we know a good holiday makes you happy. As we like to stay ‘a holiday well spent brings a year of content’. And if you’ve been staying with us for the last years, you’ve already seen what a holiday at Cas Saboners looks like: fun, good food, relaxation, comfy apartments & big smiles all day long..
At Cas Saboners your wishes are our commands and in order to make you a little bit happier we’ve got some good news to share with you: we’ve just extended the 2019 season at Cas Saboners!. For the second year in a row we will be opening our hotel’s doors on March, the 1st. But for the first time, we’ll be letting the season last until November, the 17th. WHAT A SEASON! . This means: more time for you to book a holiday or even two of them! And there’s more..
Just like this season, we’d want you to get to know our half-board option. Due to our new restaurant we’re now equipped to offer you an incredible buffet dinner and breakfast, adding that extra special gastronomic experience to your stay at Cas Saboners. We’ve had wonderful feedback about our restaurant this season (check out our TripAdvisor profile!) and we’ll be happy to keep improving and offering our guests nothing but the best.. So let’s get it all together: you can come visit us from the 1st of March and until the 17th of November, giving you extra time to enjoy a nice Majorcan-holiday at Cas Saboners. And in addition to enjoying the best holiday on the island, you can book your stay with the half-board option, meaning we’ll have your breakfast and dinner covered every day. Sounds like a plan, right?. Don’t forget that you’ll get the best pirce by booking directly on our web! Mallorca is ideal for a family holiday. There are so many fun activities available for the kids, it is difficult to choose which ones to do for the few days that you are here! 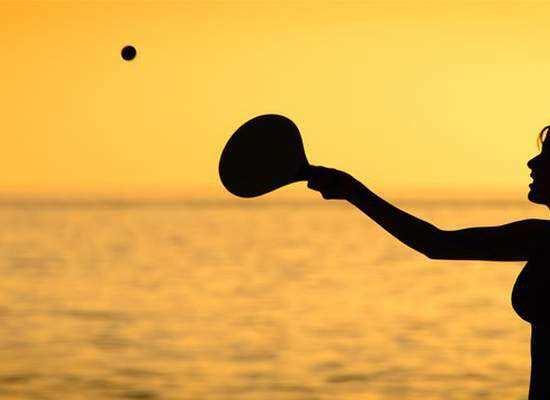 Aside from the beautiful beaches that it has to offer and many beach activities that there are such as bat and ball, volley ball and snorkelling. There are also a few water parks on the island which make a great family day out. Everyone can get involved and all will have a lot of fun! You can also have lunch while you’re there as they have various restaurants inside. Western Water Park is the closest to us at Ca’s Saboners, you could even walk there. You can also spend an afternoon go-karting, there is one very close to us in Palma Nova/Magaluf which can be good fun for everyone. There are karts for all ages, with different speed settings so that your little ones can also get involved. A popular activity for families to do when staying here is to book an evening at Pirates Adventure, which is a family cabaret show and dinner which will leave you wanting to dance salsa and do flips in the area. A very impressive show with talented gymnasts. We promise you it will be a very memorable experience for you and the whole family. You also have Palma Aquarium, which is closer to the airport than it is to Palma Nova but definitely worth a visit if you can make it. Being the home to around 8000 marine creatures, the kids are absolutely fascinated. Lastly, you can take the whole family to the Coves of Drac, which will take you on a one-hour tour through watery caverns full of breath-taking views of stalactites and stalagmites in the making. Palma, the heart of Mallorca and it’s capital city, isn’t the biggest of cities but it definitely makes up for it with its beauty and quality of everything that makes it. As a cosmopolitan city, it has become one of Europe’s shopping capitals. Full of luxury brands as well as the well-known Spanish and International chains. You will find the well-known stores such as H&M, Mango and Zara on the main central streets of Palma such as the Borne, Jaime III or the Avenidas. Along with other well-known brands such as Guess. The Borne has become one of the most important streets in Palma, known for being a “designer street”. The more luxurious brands such as Louis Vuitton, Hugo Boss and Tous can be found at the bottom of the Borne close to the famous Cathedral. Which is a beautiful area to take a walk or have a coffee to admire some of the breath-taking architecture that makes up the city. If you branch off of these streets and wander more into the beautiful back streets of Palma, you can find some very authentic and international boutique stores which are definitely worth a visit. You can walk from the Borne up the side streets to the popular Plaza Mayor. On the way up, you will find various brands from all over the world as well as local specialties. Another area that is surely worth a visit are the streets in between the Es Baluard museum and Jaime III/Borne. These are filled with unique art galleries and studios. Here you could end up finding the perfect photo or art piece to take back with you as a souvenir. Come and speak to us at reception if you’d like any recommendations if you’re going into the center, regarding anything such as how to get there, parking or where to eat. When you’re staying with us at Cas Saboners, you already know you have tons of things to do at our aparthotel: we offer you fully-equipped apartments for the whole fam to be comfy, a big pool to enjoy Majorcan sun, a little water park for some extra water fun, a playground for the kids, a complete entertainment program for adults and children, a pool bar and a new restaurant where we serve big buffet breakfast and dinner, that you can book when choosing half-board on our web. . Even though we just love having you around all day and we would rather not let you go, we also know that sometimes you enjoy some time outside the hotel to explore the area surrounding us. And that’s fine with us, we promise! . 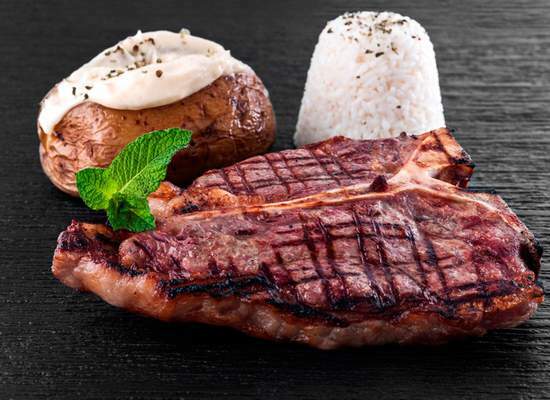 So today we though that we could recommend you an excellent restaurant to have a great meal with the family. .
Vaccu is a restaurant that opened this season in the La Vila Shopping Centre, only a couple of minutes away from Cas Saboners. 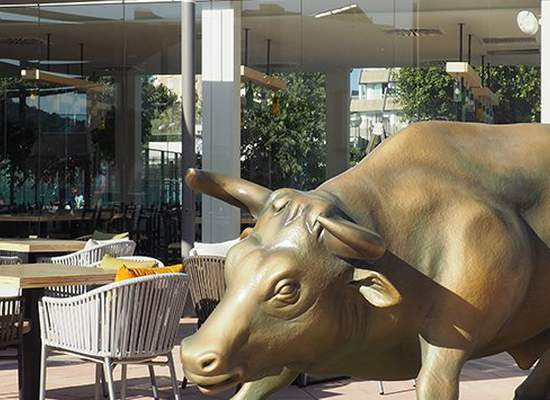 We recommend you to combine a shopping afternoon with a visit to the restaurant or a visit to Katmandú (the theme park in Magaluf) with a nice dinner at Vaccu. .
At Vaccu they are meat specialists. 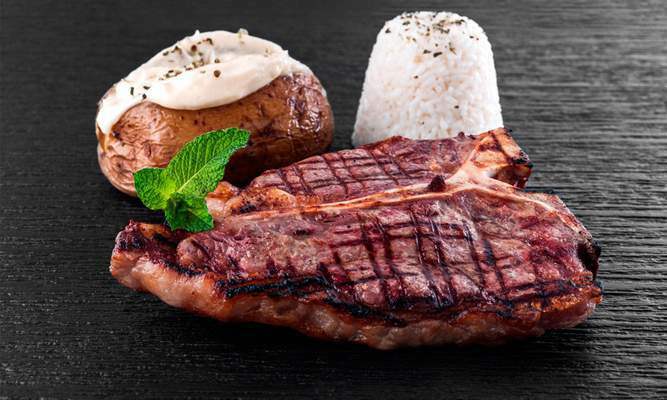 They have the best steaks on the island at this new restaurant, but it’s not only all about meat, they also got a wonderful selection of Italian dishes to share with the family. The best meat & the best of Italy in just one place. A real winner! . 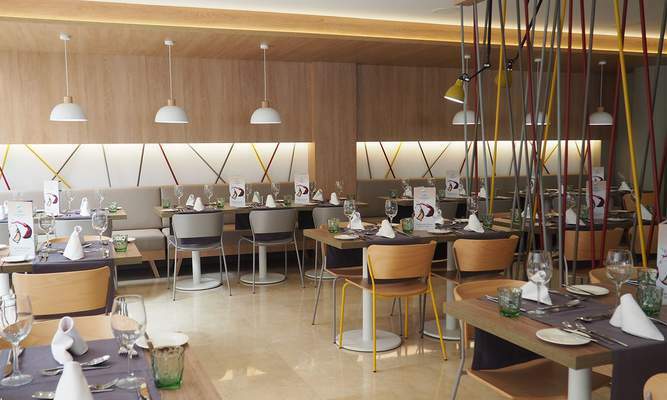 Vaccu is family-friendly restaurant, as they not only have a great selection for children, but also a big terrace inside the La Vila shopping centre, for the kids top lay around while adults enjoy some of their spectacular cocktails after lunch or dinner. Vaccu’s cocktails are another must-try at the restaurant; so don’t leave without having experienced the full Vaccu-experience..
We love our guests to have the best time while staying with us and that’s why we recommend you this great restaurant named Vaccu for a lovely meal during their holidays at Cas Saboners. Are you worrying about how to get to us from the airport on the day of your arrival? There’s absolutely no need, it is very simple. There are a few different ways you can chose from. .
Taxi’s line up outside the airport all day and night, which will cost you around 30 euros. Most taxi’s only fit 4 people plus a couple of cases so depending on how many you are; you may need to take two. Occasionally there are larger taxi’s which can fit around 6 people and have more room for cases. In the midst of the summer months you may have to wait a few minutes in line to grab a taxi. .
To save the wait, you can also book a private car, these pre-booked taxis’ often work out cheaper for larger groups. A taxi journey should take no longer than 20 minutes if there is no traffic. Traffic is normally light but can get heavier in the busy summer months. . Buses that run from the airport are easy to use. The fastest is route is the A11, which runs at regular intervals during the summer, however only three times a day in the winter. The bus journey is around 30 minutes and will cost you €5.50. If you’d like the time table for route A11 please follow this link https://www.tib.org/en/web/ctm/autobus/linia/A11. Lastly, is the option of renting your own car from the airport. This is a great option if you’d like to have the car to travel around the island whilst on your stay. There are plenty of hire companies at the airport where you can pick up your car at your arrival. From the airport you’ll get directly on the M19 highway which will lead onwards to Andratx on the M20. Then merging onto the M1, where you will take your final turn off to Palma Nova. Parking near the hotel is plentiful. . However, if you don’t hire a car, there is also plenty to do around Palma Nova, or you could even grab a bus into Palma city for a day trip!. Your holiday has begun! And nothing says holidays like being by the pool, sunglasses on, with a classic cocktail in your hand! Because it’s always cocktail o’clock when you’re on holiday! Mallorca is at its hottest in the months of July and August, sometimes even until the end of September, so we often find ourselves always with an icy cold drink in our hands. So which one do we choose? All of our cocktails here at our pool bar are very tasty! We can however recommend 3 of our favourite cocktails at Ca’s Saboners..
Firstly, is our good ol’ Mojito. The most refreshing summer cocktail to cool you down on those hot and humid days. Made from a light rum such as Bacardi, mixed with 7up/sprite, fresh lime, brown sugar and fresh mint. Sounds just ideal, doesn’t it? . 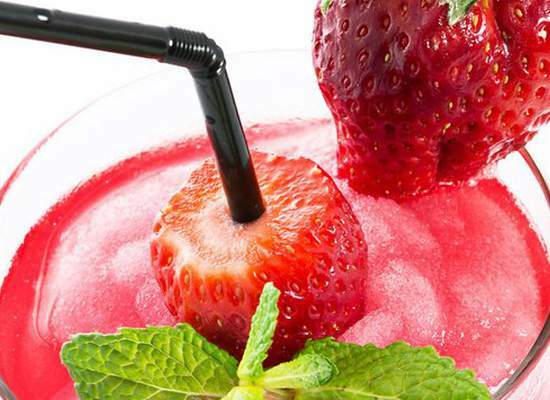 Secondly, is one of our favourites, our classic strawberry daiquiri A delicious mix of dark rum, sugar and and lemon/line juice blended with frozen strawberry’s. This is a good one to choose if you fancy something a little sweeter as the strawberry’s add a lot of extra sweetness to the flavour! Nowhere beats our strawberry daiquiri’s, made freshly by our bartender. .
And last but not least, is our Ca’s Saboners Special cocktail, which is a must try whilst you’re here as it’s our number one favourite! Made from Malibu, melon liqueur, blue curacao and fresh lime juice. Taste’s like you could be in the Caribbean, but with cocktails, sunshine and beaches like the ones we have here, who needs the Caribbean! . So relax and enjoy, you deserve it! Time to forget all your worries and enjoy the sunshine and the refreshing summer drinks. Make sure you stay hydrated with water as well throughout the day. .
You can also enjoy a cocktail in the evening on our terraces, while the suns setting, or whilst watching our live entertainment that we have in the evenings. Is it even possible to get bored of lying on the beach or by the pool all day? Well surprisingly for some people it is! No need to worry as not only do we have plenty of entertainment for you at the hotel but the beach, being only a few steps away, is full of possibilities to make the most out of your days. Families, group of friends, couples and children will be spread out across the three beaches of Palmanova playing all kinds of games. Bat and Ball is the most popular and easy to do, it doesn’t require a lot of space, they are cheap to buy and it doesn’t involve lots of running around, as the heat could get to you otherwise. You can even play it while standing in the water. How refreshing! Another popular choice is beach volleyball. Groups come down with their own nets and sometimes people from the public will join in and have a game. What better way to get some exercise while at the beach, whilst also making friends! Frisbee is another option, but be careful where you throw it! And lastly, if you have the energy in the heat of the summer, there’s football. 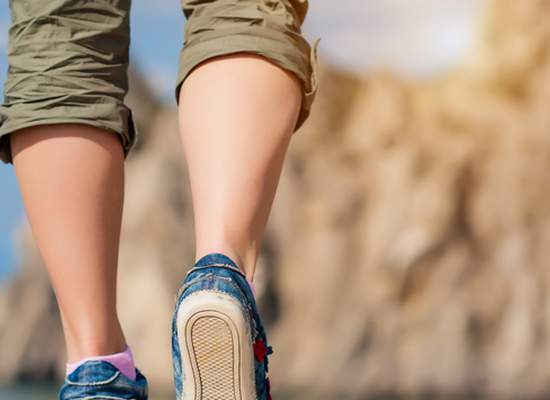 You may need to find a few extra feet to join you but it is another great option to get your body moving whilst you’re on holiday. There are plenty of shops around the beach that sell all sorts of beach games. If you need any help finding them please don't hesitate to ask us at reception! If you’re thinking about where to book your summer holiday, you have probably checked out many factors. But, of course, the first one would be location. At Cas Saboners we’re really proud to say that we are the family hotel with the best location in Palmanova . Cas Saboners is a family-oriented aparthotel where YOUR wellbeing is what matters the most. Our staff is doing the best they can and more every day to offer you a comprehensive holiday experience . With our comfy apartments you’ll find yourself at a home away from home, while enjoying long days by the pool, the near-by Palmanova beach, the fun activities for adults and children we have prepared and, of course, our delicious restaurant and night-life . .
Our aparthotel is located only a couple minutes away of ‘Son Maties’ beach , one of the areas of the long and beautiful Palmanova beach. So you can easily walk to the beach every day if you feel like having a Mediterranean holiday. But Cas Saboners is also perfectly located, as it is very easy to reach from the airport . Easily heading our way, you won’t have any problem finding it once you exit the highway. You can also walk from Cas Saboners to Magaluf to experience the restaurant scene and nightlife there. We have already prepared a great selection of things you could do when staying with us at Cas Saboners on an interactive map, you can check out right here: https://en.cassaboners.com/map/. And if you’re looking to book for the best price , remember to go directly on our web and get your dream-holiday! . Being on holiday is just the best. We love holidays. And if you’re spending your holidays in Mallorca, even better! Because that means: beach, sun and FUN. .
Mallorca is a beautiful Mediterranean island where you’ll find something for everyone. And at Aparthotel Cas Saboners we’re specialized in welcoming families with children and keeping the whole fam happy every day! So if you’re thinking about heading our way, we will be more than happy to have you! But once you’re here you’ll realized that you’ll spend practically the whole day under the Majorcan sun . In the pool, playing games or by the beach: the sun won’t go away. And as much as we LOVE the Summer-feeling, we also want you to be careful.. So today we would like to give you three tips to take care of your skin during your summer holidays..
1. Putting on sunscreen is a must . But we’ll give you some extra advice: you also need to choose it right. Remember that there is relatively little difference in the degree of protection offered by SPFs higher than 50. And if you don’t know how long your sunscreen protects you, here’s a trick: Think about how quickly you burn on a sunny day. Multiply that number in minutes by the sun protection factor (SPF) of the sunscreen you're considering. 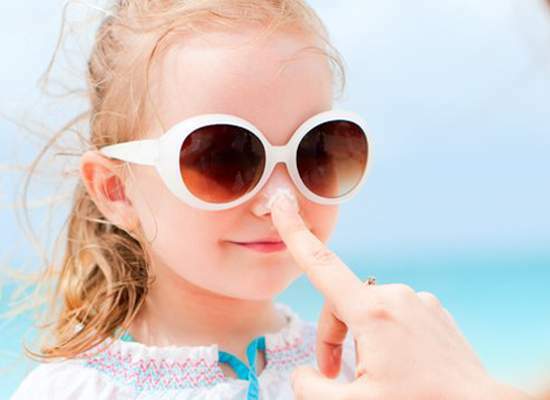 The result will tell you the maximum amount of time the sunscreen will keep you protected..
2. Another great tip to keeping your skin protected this Summer is moisturizing it. Even though your skin won’t feel dry, you should keep it hydrated as much as you can. Don’t forget that you can always rely on aloe vera in case you get a sunburn!. 3. Last, but not least, drink lots of water! Drinking water benefits how well your body functions and ultimately affects how your skin looks and feels. Sip water through out the day!. With these three tips you should be perfectly fine when it comes down to skin care. Of course, you can always ask your dermatologist for more specific advice! Hi there breakfast-lovers, this is your Cas Saboners team. And today we would like to tell you what to expect from the most important meal of the day: your breakfast! At Cas Saboners we are holiday-lovers, good times – lovers and, of course, food lovers. 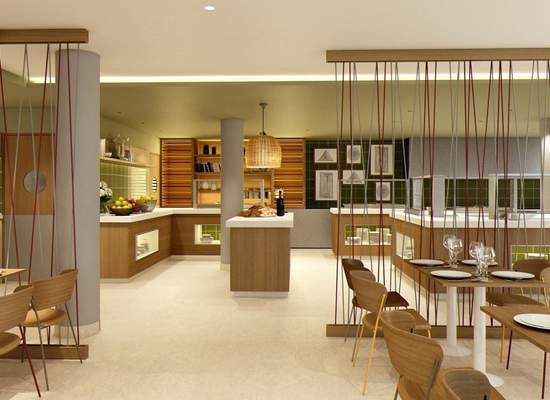 As you already know, we have improved our facilities this year and we’ve done some SERIOUS changes at our restaurant. Now we also offer half-board when booking and we’ve expanded the buffet area. And this is something that has affected our breakfast buffet, in the most positive way, of course. When waking up at one of our comfy apartments or rooms you will probably want to head the restaurant ASAP, as there is a full buffet waiting for you! What we’ve paid the most attention to is having something for everyone. Our buffet breakfast covers all needs and tastes, offering everything you’re used to having at home, but also some Mediterranean delicatessen. Fresh fruit, your favourite eggs, bacon, all types of breads, yogurt, milk, coffee, marmalade and Nutella, donuts and pastries, o-juice and so on. There’s really everything you can think of! A nice breakfast is VERY important to us, as this will give you and your family or friends the energy to kick off the day at Cas Saboners! And as you know a day at Cas Saboners also means BIG BIG fun! Due to our entertainment program your kids and yourself will be having a blast every day, playing, relaxing by the pool or learning something about Spanish tapas and sangria… that doesn’t’ sound so bad, does it? So if you’re visiting this season, we would like for you to try our buffet breakfast and let us know what you think! We’re always open to suggestions and comments regarding our breakfast and dinner, as we want to continue improving day by day! See you soon at Cas Saboners! You’re ready to kick off your holiday at Cas Saboners and we are more than ready to have you! Every year we welcome our guests to enjoy a dream vacation in Palmanova . 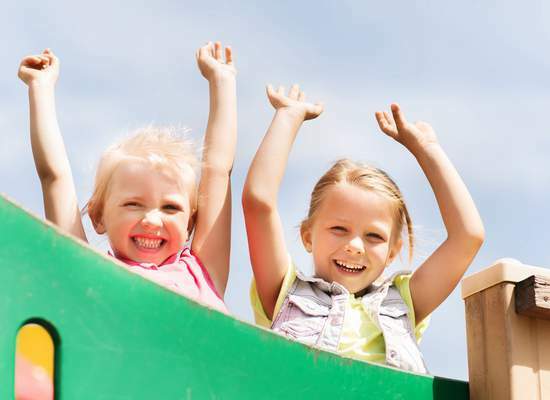 And to build ever-lasting memories we take special care of our activity-program, which easily translates in BIG FUN . Federico and Irene , heads of our activity program, take care of every detail to offer all kinds of things to do for adults and children spending spring and summer days at Cas Saboners. It’s all about entertainment every day at our aparthotel in Palmanova starting at 11h until lunch time (13h) and then in the afternoon from 15h to 17h. For adults you will be able to enjoy stretching, yoga and Pilates classes in case you want to stay fit during your stay; then there’s rifle shooting, water activities such as aqua-gym and aqua-aerobics and our popular cocktail games. But this year there’s something more on the schedule! We will be having surprise-tastings of typical Spanish dishes such as pa amb oli & sangría (nobody can say ‘no’ to sangría when on holidays!). More on the activities for grown ups (at least body-wise!) are: dart tournament, billiard, ping-pong, water polo, water basket, Spanish lessons, paddle surf yoga and, of course, Sjoelen. In other words: pure & authentic holiday FUN. But we’re all about family and this is why there is a big (big is actually not a big enough word when it comes down to our appreciation of kids) activities program prepared specially for the little ones. Your kids will have a blast at ‘pirate day’, ‘water day’, ‘jungle day’, ‘western day’, ‘Olympus day’, ‘Cave day’, ‘Superheroes day’ and more. Mini-club will be on every day at the same time as ‘adult-activities’: from 11h to 13h and from 15h to 17h. And then there’s night time fun. Kids kick it off with their mini-disco at 20h and right after, at 21h there’s a live-music show in addition to bingo, music quiz or karaoke. Two times a week we’ll have a family show with parrots (Mondays) and with snakes (Wednesdays). These are only the basics when staying at Cas Saboners this Summer, but we will make sure to add some extra fun with some surprise-events and some special activities. Let’s have fun together this season at Cas Saboners! If you have been putting close attention to what we’ve been sharing, you already know that Cas Saboners is located in Palmanova, which also happens to be one of the most fun resorts in Mallorca. What we really like about Palmanova is that it suits all types of travellers: families with kids will have a blast (even more when staying with us), couples will get their dream-get-away and group of friends will be able to gather some cool memories. But as Cas Saboners we are family-friendly hotel specialized on offering the best family vacation in Mallorca. And this is exactly why we’re always thinking about fun things to do when staying with us. 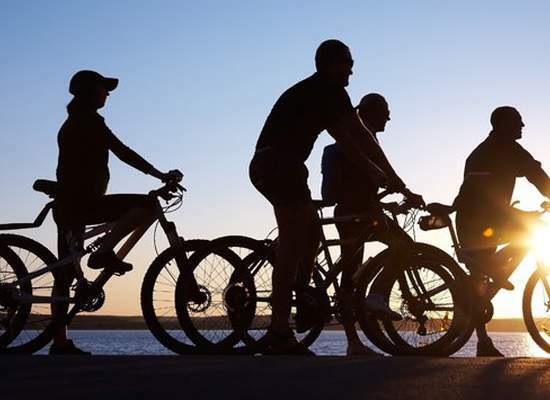 It is true that we have a wide activity program that will give you tons of fun stuff to do at our hotel, but we can’t always assume you will want to stay in most of the time, so today we would like to recommend you to go on a family-bike ride in Palmanova. Palmanova is a coastal resort with a long promenade by the sea, offering a lovely scenario to go on a bike-ride. Even though Mallorca is known for being a cyclists-island, this time we’re not talking about professional bike-riding, just a very fun ride with your family. Due to the high amount of people passing by Palmanova every year, you will find several bicycle-renting shops to choose from. The fun starts once you’ve chosen your ride. You can go from traditional bicycles for everyone to family-sized bikes, which are connected and really fun to try! There’s also vintage bikes, mountain bikes and all kinds of different rides to offer your family a lovely afternoon. Next step would be to hop on and ride the afternoon away on the promenade. If you have older kids, you can always go a little bit further and take the road connecting Palmanova with Magaluf, Portals Nous and other resorts. And if you feel like going on a romantic ride with your partner, you can always leave the kids at the Kids Club at Cas Saboners to do so. We’re getting excited. The Cas Saboners season 2018 is almost here. And as we really enjoy surprising you, we are happy to reveal our news for 2018. We have been silently (or maybe not so silently) working on our restaurant and we will welcome you with a brand new restaurant area at Cas Saboners! 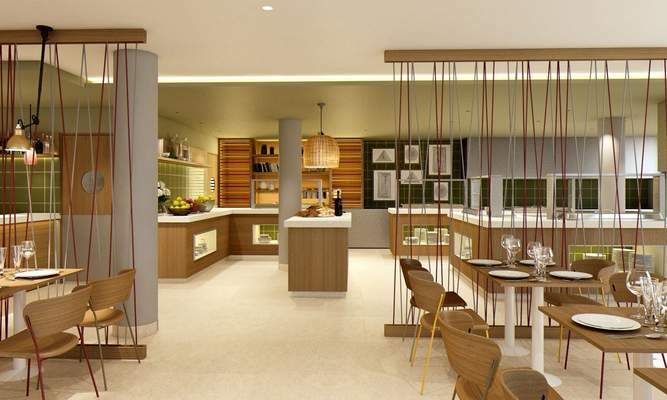 It’s time for you to enjoy this upgraded area, where we will be offering à la carte options, a show cooking area and, of course, a delicious buffet breakfast. Our menu will include new and spectacular dishes, but keep one of your favourites to not break your tradition of ordering the same when you come visit! But there’s more. In order to enjoy this restaurant as you should, we are now offering you bed & breakfast and also half-board! If you are a breakfast-lover like we are, you will definitely want to book your stay at Cas Saboners with our delicious breakfast included. 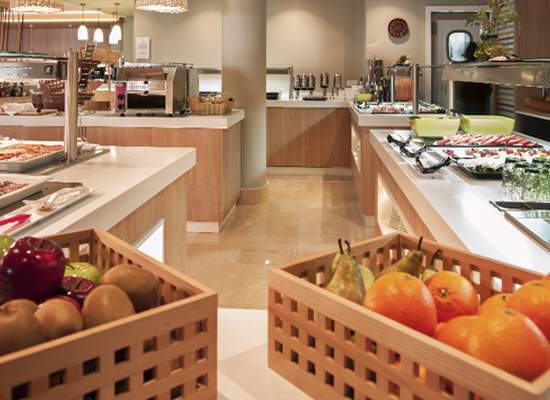 On our buffet you’ll find your favourite food from back home, but will also discover some very Majorcan and Spanish options to add that extra-something to your breakfast. Warm dishes, cold-cutter, fruits, yogurt and a lot more are on the menu (or should we say: is on the buffet?). Whatever you’re like in the morning, this breakfast will be everything you can whish for during a holiday. And if you’re ready to make it as comfy as possible, you just have to book our half-board option. You will be all set to have breakfast and dinner every day at our buffet restaurant and will only be worried about what activity you should enjoy next! Go to www.cassaboners.com now and book B&B or half-board for this 2018 season! Every time we book a holiday we check out the hotel we’re going to, the weather, maybe a little bit of what we can do once we’re there and that’s kind of it. So today, as you’re visiting us soon (and we are super looking forward to it!) we will do some homework for you by telling you 5 things you didn’t know about Mallorca. 1. Mallorca has a population of 869.000, but during the summer season it goes all the way up to about 1.300.000. 2. There are two official languages spoken in Mallorca: Spanish and ‘Majorcan’. ‘Mallorquín’ is a local variant of Catalán, which can change a little bit according to the location. Both, Spanish and Majorcan, are equally important, but locals are more used to speaking and teaching their children ‘Majorcan’. 3. There are 262 beaches on Mallorca. A rare combination of beautiful coves and long sand beaches makes Mallorca unique in many ways. Over 40 of the beaches on the island are designated as ‘blue flag’, which assures not just water quality, but also the provision of bathroom facilities, lifeguards and tourism services. 4. There are 300 days of sunshine a year in Mallorca. It is crazy to think that of a total of 365 days, 300 are actually sunny days on the island, but that’s exactly right. Even though the temperatures drop in Winter, the sun never really leaves the island, as it shows up even after pouring rain and stormy afternoons. We can always relay on the sun to shine on Mallorca! 5. Spain’s only circular castle is located in Mallorca. The Bellver Castle, perched on top of a wooded hill watching over Palma’s bay, is unusual in being one of only a few circular castles in Europe and the only one in Spain. We could add some other things you might not know about Mallorca, like the fact that tennis pro Rafa Nadal was born and raised in Mallorca or that the island has one of the world’s largest underground lakes that goes by ‘Cuevas del Drach’, but we will leave this for you to discover when visiting Mallorca this year! Are you the sporty-type? Do you enjoy some fun activity even when you’re on holidays? Don’t worry, because Aparthotel Ca’s Saboners is located in Palmanova, a modern and fun beach resort on the island of Mallorca which is also home to many great sports facilities. If you are into tennis, you’re exactly right in Palmanova. 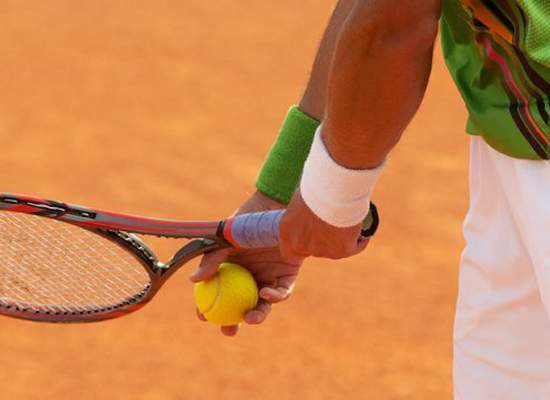 Guillermo Vilas, a professional tennis legend and King of clay courts, has his own academy in Calvià, about 10 minutes away from Cas Saboners. You can go there just for fun or take classes, one thing is for sure: you’ll become the next Rafa Nadal in no-time! If you are more into soccer and you are looking forward to play a game with your family and / or friends, there is a public soccer course in Palmanova. It’s called ‘Camp de Fútbol de Son Caliu’ and you can book it, but you will have to plan a little bit in advanced, as it is usually booked. And if you’re looking for a complete sports centre to do just do whatever you feel like, Diveresport Magaluf is the place you were looking for. Play padel or soccer directly there and have the little ones entertained at their great children’s playground and children area. They even host birthday parties, which is why a lot of kids in the area just love Diveresport. This sports centre is only 5 minutes away from Ca’s Saboners, which makes it the perfect fit. And don’t forget that at Ca’s Saboners we are constantly offering fun activities (some of them are sportier than others!) for you to enjoy an unforgettable holiday with your family and / or friends. Yes! Your holidays are just around the corner and we couldn’t be more excited about it! You have probably read some of our blog posts, Facebook and Instagram posts and tons of TripAdvisor reviews about Ca’s Saboners and the main thing is: we’re the place to spend your family-holiday at! And if you’re visiting Ca’s Saboners this season, you probably already know that we are surrounded by beautiful long beaches that give you a whole new level of Summer-feeling! On one of our previous blog posts we told you all about what beaches to visit when staying with us, but today we would like to tell you five things you should know about the closest beaches to our aparthotel in Mallorca. 1. The beaches around here have freshwater showers. We all know that the salty sea-water is itchy. If it bothers us, imagine how it bothers our kids! This is why the beaches in the area are equipped with freshwater showers. Many beaches provide showers, but they not always are freshwater showers, which makes the uncomfortable feeling stay with us for some hours. Don’t worry about it next to Ca’s Saboners, as you will be able to take off most of the sea-water and sand right after diving into the ocean! 2. The beaches around here are truly designed for families with kids. You will see that many of these beaches have kids’ playgrounds right behind them, between the sand and the road. This is perfect for parents, as kids sometimes need some time off the sun or the water and they can easily play for a while before going back! 3. The kids-feeling takes over all the Palmanova en Magaluf beaches, as during the season you’ll find large platforms with water slides on it. Even though we are not talking about a complete water park, the fact that you will find water slides on public beaches for your kids to use for free sure is a big plus when it comes down to spending a day on the beach, right? 4. The fun is not only assured for kids on the beaches near Ca’s Saboners. At every beach in the area you’ll find pedal boats for rent. These can be super fun, as the whole family fits on one of them! Normally it’s pedal boats including a water slide, which is just a big piece of fun for the kids and grown-ups looking for some water-fun! 5. Don’t worry about sun-burning or carrying much stuff with you. The beaches around here always have sun beds and umbrellas for you to rent. Just come to the beach, bring your towels and enjoy sunbathing and diving into the crystal clear water. Easy-peasy! Once you’ve got kids, you already know that there are many things that change. And we don’t want to lie to each other and say that holidays are the same than without kids, because they are just SO MUCH MORE FUN when little ones are around! To be honest and just to persue the true as we are speaking, we also have to say that it is a lot of work and that finding a place to meet up your and your kids’ expectations isn’t always easy. But not only is Cas Saboners the perfect place for your family holiday, it is also just really perfect to enjoy a family holiday with another family. It is always very cool to have friends that also have kids because this means that the kids will be playing with the other kids and you will be enjoying yourself with your friends! Is there anything else you can ask for? 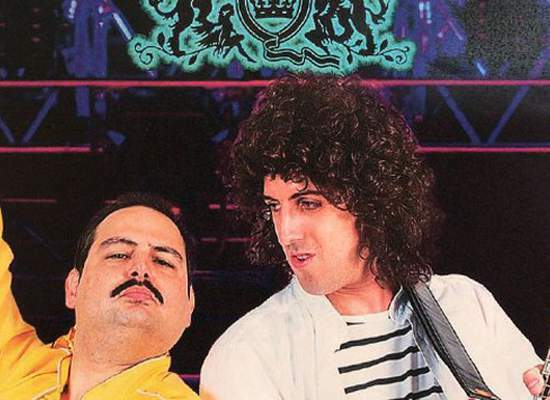 Well, if there is at Cas Saboners we will make it happen! We are more than pleased to welcome groups of families coming together and accommodate you nearby so that you can practically own this place! 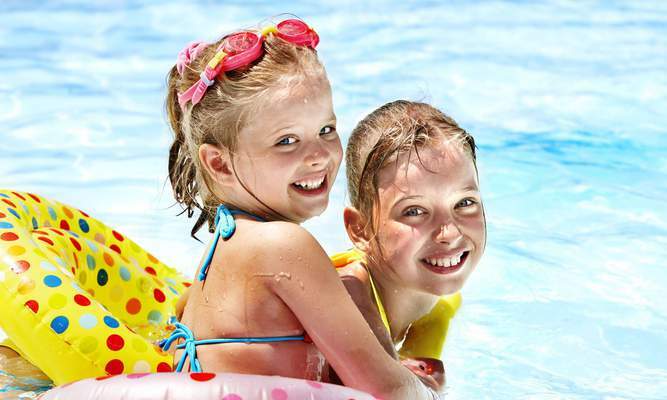 In addition to this, we are a kids-friendly hotel where your little ones will have a blast while you can enjoy the pool, have some drinks, get a snack, play games and just relax and give yourself a very special holiday. The Cas Saboners team is very fond of giving you the holiday of your dreams, which is why we are constantly thinking of new ways to improve our service, facilities and offer you the best family holiday in Mallorca! Don’t hesitate, get your friends over for dinner, plan a family-holiday together and book your apartments at Cas Saboners for 2018, we are already looking forward to welcoming your families here at our hotel in Palmanova! Jingle bells, jingle bells… Are you feeling it? Is the festive feeling taking over you too? We are so ready for Christmas to be here this year! And even though Cas Saboners is closed during the Christmas holidays, we would love to let you know how it is to be in Mallorca over Christmas and what it is we do here on the island around this time of the year. As soon as the Christmas lights are on (you will see tons of Christmas lights all over the island and specially in Palma) you can feel Christmas in the air, no matter where you go to! Starting in early December, there are many Christmas markets in all cities and little towns all over Mallorca. Actually very close to Cas Saboners and Palmanova, there is one of the most important and loveliest Christmas Markets of the island: Puerto Portals Christmas Market. This marina hosts a very traditional European Christmas market with little stalls looking like wooden cabin offering all kinds of treats, starting from delicious food and drinks up to crafts from the island. If you are in Mallorca during the holidays, you should definitely stop by this lovely Christmas market and check their schedule out on Facebook to get an overview of all the activities taking place in Puerto Portals. Another one of the traditional things to do during Christmas in Mallorca is attending the ‘Gallo mass’, the most important mass for Christians on the island, taking place on the 24th of December in several churches in important towns and villages. Of course, the most stunning version of the ‘Gallo mass’ is the one celebrated at the Cathedral of Palma. On New Year’s Eve in Mallorca it is tradition to eat 12 grapes while the clock strikes 12 times. This is a superstition that is supposed to bring good luck within the new year and all restaurants, as well as homes over the island do the ‘lucky grape’ tradition. Last, but not least, you can not miss the Three Kings parade coming to Mallorca on the 5th of January. Melchor, Gaspar, Baltasar and a large group of floats amaze children year after year baring sweets and a colourful show for the little ones to prepare for the unwrapping of gifts on the morning of the 6th of January, after the three holy kings have visited their homes. Are you planning the family holiday for 2018? You are probably looking at many beautiful destinations and if Mallorca is on the list, we are here to quickly tell you why Mallorca is the place you should spend your next holidays at! No wonder, in 2015, Mallorca was chosen as ‘the best place to live’ by the Sunday Times. And guess what: if Mallorca is the best place to live, just imagine what type of place you would be spending your vacation at! This island, the biggest of the Balearic Islands, has a rare and stunning combination of three aspects: a turquoise sea, a breath-taking mountain range and a lively cosmopolitan capital city. 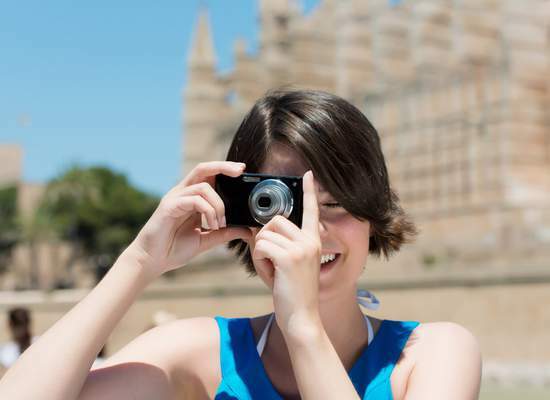 This is how Mallorca has been attracting tourists over the past decades. Somebody visiting Mallorca is keen to come back, because this beautiful island just has so much to offer that one visit could barely be enough. Once you’re on the island, you will have a wide range of cultural, sports and gastronomic activities to choose from. All of this with a spectacular natural scenery, so do we really have to add more? Well, there is always a very important thing: at Aparthotel Ca’s Saboners we will be PLEASED to have you spending a relaxing family-holiday. Our hotel located in Palmanova, just 25 minutes away from the airport, is specially designed for families looking to have a blast. In our hotel you will find superb facilities to suit all your demands (and your little ones too!). But there’s more, as we are located just a 2-minute walk from the beach, so we will actually be able to dive into the all-tones-of-blue waters of the Mediterranean every day if you wish to! In Palmanova there are also many restaurants and bars offering entertainment for the whole fam and back at Ca’s Saboners we will make sure you have not even one dull moment. Head to our homepage and book your 2018-holidays at Ca’s Saboners at the best price now! But before we get all cheery about you coming to Mallorca, you’ll have to take one step at a time. And one of the most important (and exciting) steps on the way is packing. That feeling when you are staring at your open suitcase and just thinking about those relaxing days, strawberry daiquiris, delicious paella and long days by the pool… that’s what we call THE feeling! Who wouldn’t love it? But sometimes that feeling comes with too many questions: so, it’s hot, but the weather says it will be cloudy in the morning; how are Majorcan nights? The list of questions goes on and on so today we are here to solve a very common and important issue: what to pack when coming to Mallorca? We’ll make it easy for you and tell you what to bring if you’re coming in March/April/May, June/July/August and in September/October. Ready? Here we go: let’s pack! If you are visiting Ca’s Saboners in March (we open on March, the 1st in 2018), April or May this is what you have to bring along (for a medium stay of one week): jeans/trousers, short sleeve t-shirts, a light sweatshirt, bathing suit, flip flops, sandals, light sneakers and sunscreen (sun can be quite hard!). Got it? You’re all set! 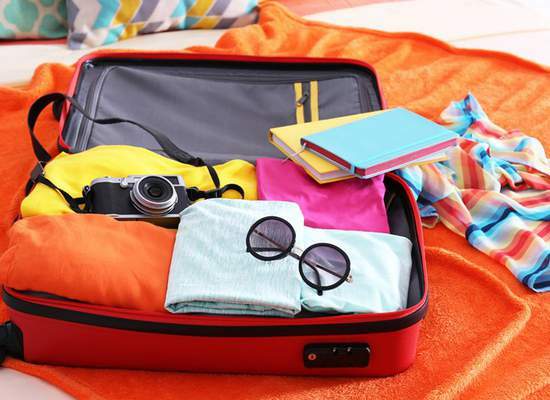 If you are staying at our aparthotel in Palmanova during June, July or August you can just throw all your bathing suits and bikinis in the suitcase and come. Just kidding! No, but for real: bring all the bathing suits ☺ you will be happy to have some changes for the kids as they will practically live, breathe, eat and sleep in the water! Majorcan Summer nights are not cold at all, so just bring a couple of nice summer dresses if you’re a woman or just shorts and some light short sleeve shirts if you’re a man. You can always have some light sweatshirt in case you feel like going for a walk by the beach at night but you won’t even need it! Don’t forget flip-flops, sandals, a cap or Pamela, sunglasses sunscreen and aftersun! But if you’re heading to Mallorca in September or October we can actually say it is the trickiest time of the year. You can run into a Summer-like day and on the next you can expect clouds and even rain a little bit. 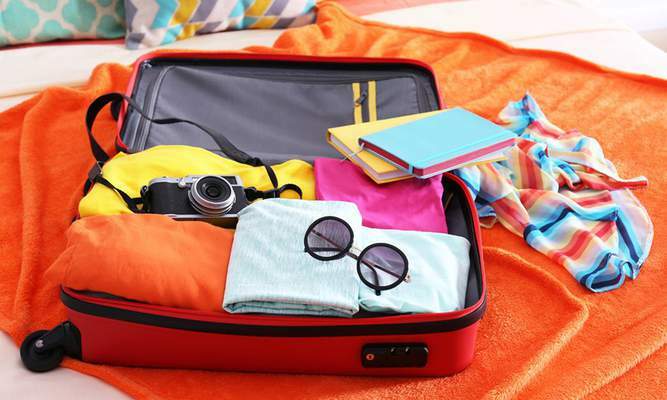 So your suitcase will also be the most complete suitcase of the three Ca’s Saboners suitcases: bring flip-flops but also sneakers, bring your favourite Summer dress but also long trousers and t-shirts. Don’t forget to bring a light sweatshirt or jacket! Even though the sun shines during the day (sunscreen is still a must), as soon as the sun is gone you’ll feel the temperature drop. Extra tip: Bring your beach towel if you have one. It will be perfect to take the the swimming pool or beach. But if you don’t have one yet or you don’t have more space in your suitcase, no worries! You can take one at our mini market! Any questions? If you need more weather information or just some insider knowledge about what Mallorca and Ca’s Saboners is like, just e-mail us at recepcion@cassaboners.com. We’ll be happy to help! Here’s the deal: we know every one of you is unique. But there’s more: it’s not just every individual, but also every family. Because: who’s to say what family looks like, right? It doesn’t matter how many or how crazy your family is, at Ca’s Saboners you WILL find a room to suiteveryone’s needs and meet up your expectations. Just in case you didn’t know we’re really fond of family-holidays and it’s the matter we have specialized in for a couple years now, so we know that there is need for all type of rooms and apartments. But we always keep one thing in mind: every family apartment has all the equipment a family would need. So you don’t really have to worry, because no matter which room you choose, you’ll be covered! 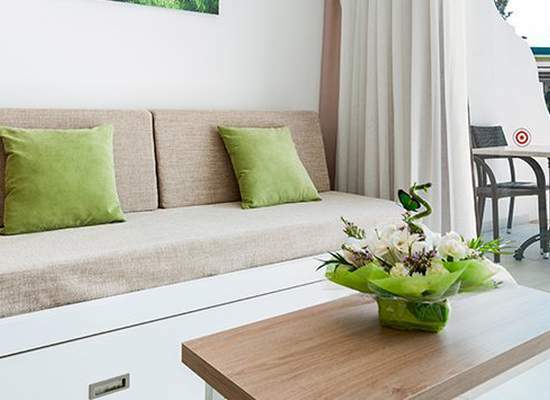 So let’s take a quick look at our apartments in rooms, are you joining us? Superior Apartment: Superior apartments can be found on the 1st and 2nd floor at Ca’s Saboners. 45sqm are ready to say HELLO to your beautiful family as it fits up to 4 people. Premium Apartment – Ground floor: Just like the name reveals (it kind of ruins the surprise, right) our premium apartments are located on the ground floor giving direct access to the pool and common garden areas giving your children some extra special feeling of independence. They can come and go (if you want to) and also spend some time at the private terrace with two loungers these apartments include. These apartments also fit up to 4 people. Family apartment: Even though all of our apartments are designed to fit families, this one boast a larger open plan kitchen, bedroom and living room. Family-holidays never have been so fun! Suite heaven: let’s talk about NUMEROUS families. Heads up all of you with families up to 8 people: the suite heaven is your heaven on earth. The Suite heaven occupies the hotel´s highest point, where it reaches a third floor. The biggest apartment available on the complex, it boasts a master bedroom with en-suite bathroom, two bedrooms, which sleep two people in each, main bathroom, living room, dining room and a separate kitchen complete with storage area and utility room. Have you chosen yet? Just go to www.cassaboners.com and book yours at the best price and with exclusive benefits! If you are looking for a family-friendly hotel in Mallorca, Aparthotel Cas Saboners will meet up to your expectations (and the little one’s too!). Over the years we have developed our hotel only to become a reference when it comes down to spending a lovely holiday with kids in Mallorca. Being close to some beautiful and family-friendly beaches, such as Palmanova and Magaluf, gave us the starting point to welcome families all over the world at Cas Saboners. And over the past years we have done everything within our reach to become a kids Paradise. Do you know why? First of all, because we love seeing our little guests happy. And second, because if the kids are happy and entertained the adults can do what they came for: rest! •	Family-friendly apartments: all our apartments are specially designed to suit a family’s needs. Starting from the distribution, passing by the comfortable beds and finishing in the kitchen, everything you need to make your family spend a lovely holiday in Mallorca is in there. No matter what room or apartment you book, you will be exactly right when choosing Aparthotel Cas Saboners for your family vacation. •	Family – friendly facilities: take a look around. Wide Green gardens, centenary olive trees and big palm trees decorate the Cas Saboners common areas. We not only take comfort and beauty very seriously, but also security. While on Cas Saboners’ land, your kids will not be able to get away, run to the street or anything similar. In addition, you will find our restaurant and snack bar, terrace and chill out are to be the perfect spot to enjoy a break, lunch or dinner with the kids! •	Children’s playground: let them play! 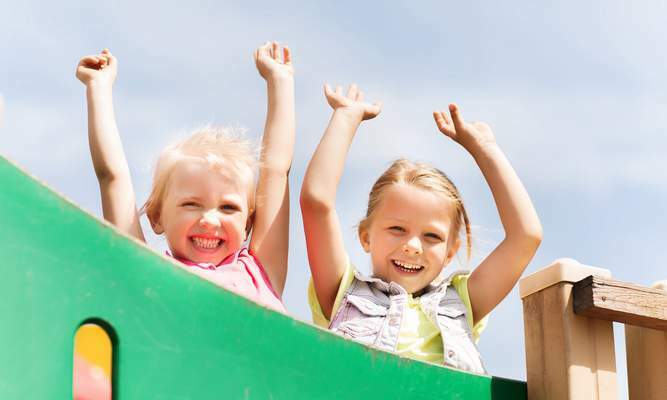 We know kids have a lot (and by a lot we mean an actual big huge lot) of energy. For the 2017 season we renovated our children’s playground and made it bigger and more appealing for kids to go play for a while. Let them rush down the slide over and over again! •	Water park: you will find fun water parks in Mallorca (check out our last blog post), but at Cas Saboners we didn’t want to do less and decided to build in our own little water park. 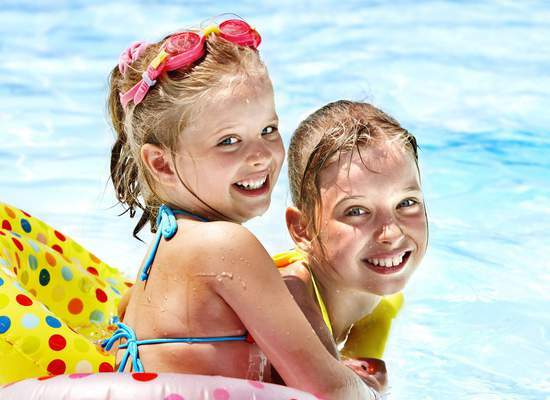 Even though it is nothing like Aqualand or Western Water Park it adds the extra fun and adrenaline for the little ones to enjoy the pool double time. •	Pool: no family holiday is complete without a pool. 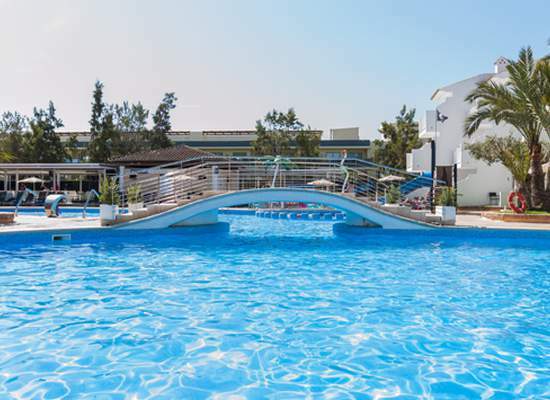 And as we know this is one of the main attractions for the whole family, we offer a giant pool which will be your meeting point during your Summer holidays at Cas Saboners. For little and big ones, the Cas Saboners pool is the dream-pool for everyone to have fun in the water and cool down from Mallorca’s hot weather. 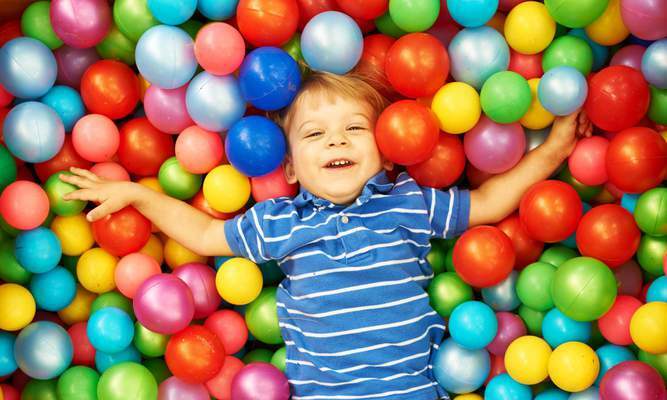 •	Kids club: last, but not least at Cas Saboners your kids will have fun all day long at the Kids club. With fun activities every day and non-stop socializing with other kids, you will hardly remember you once had kids! Our lovely team will take good care of them and they will get back to you every day telling stories about their latest adventures at the Kids Club! If you are visiting Mallorca during warm spring, summer and even autumn months, you will for sure enjoy the sun as its hottest. One of the things we love most about Summer holidays is the fact that we can sit back, relax and have the kids jump into the water in the pool or at the beach and spend a whole afternoon just swimming and soaking up the Mediterranean sun. If you would like to take the water-fun to a whole new level, we recommend you togo visit a water park. This will mean fun for the whole family during the day starting at 10.00h and finishing at 18.00h. But where to go? 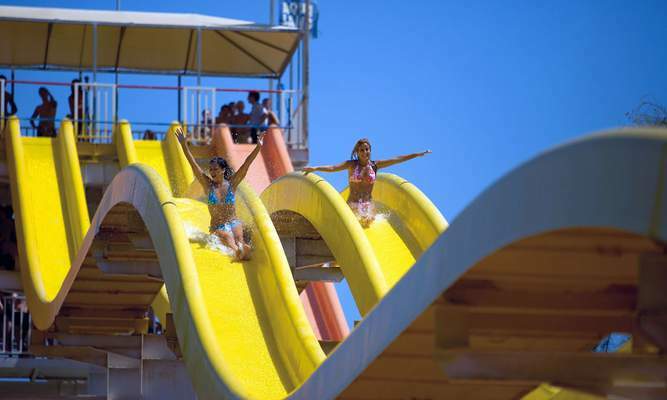 We give you the most fun water parks in Mallorca. 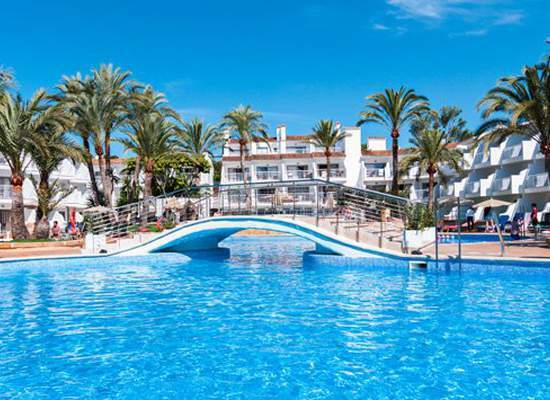 Western Water Park is the water park you will find to be the closest to Aparthotel Ca’s Saboners, in Magaluf. Located on Ctra. Cala Figuera to Sa Porrasa, 2 in Magaluf, you will only have to drive 5 minutes from our hotel to get there. From the 22nd of May and until the end of October tons of water fun will be waiting for the whole family to dive in. In May, June, September and October the park opens from 10.00h am to 17.00 pm and during July and August it closes at 18.00 pm. For the ones looking for strong emotions six attractions are catalogued as ‘Adrenaline fun’. If you would like to hop on an attraction with the whole family, there are four attractions specially designed to suit all ages. In addition to the fun attractions, you will find the ‘Kidzworld’ pools and tons of areas such as the chill out & play to be sure to make the most of your day at the water park. Aqualand is located in El Arenal, about 20 minutes away from Aparthotel Ca’s Saboners. The exit when taking the highway towards the airport is number 13 and you will find this water park (the biggest in Mallorca) on Autovía Palma km 15. Aqualand opens is doors on the 8th of May every year and is open from 10h to 17h in May, June, September and October and until 18h in July and August. With several different pools with small and medium sizes Aqualand is a kids’ paradise divided into Kizworld, Adrenaline fun, Family fun and chill out & play. Its biggest attraction, the King Cobra, will make you scream out loud before falling from a visually impacting slide. 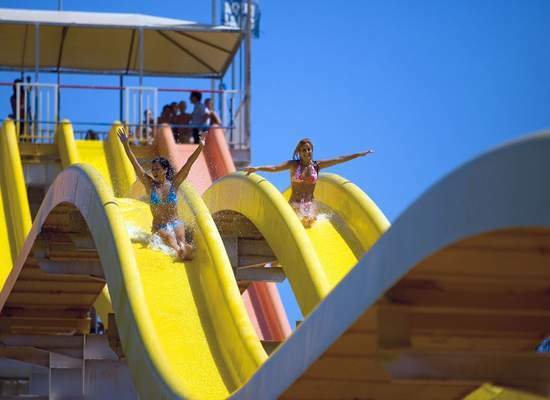 One of the attractions for kids we like the most is ‘Dragonland’, a big pool guarded by a nice dragon and many slides. If you would like to buy tickets for some of these water parks in Mallorca, approach us at the front desk to get information, special prices and more! This season we have been lucky enough to welcome tons of lovely guests at Cas Saboners. When we say making you happy and enjoying holidays is our main goal we are not lying, it is your opinions, comments and reviews that make us continue with our work with a big smile on our faces. And as offering you the best not only comes down to our service at our hotel, we have been sharing all kinds of recommendations on this blog for you to plan out your holidays and to know what’s on both – in the hotel and around it. Today we are more than happy to tell you what the surrounding area of Cas Saboners is like. 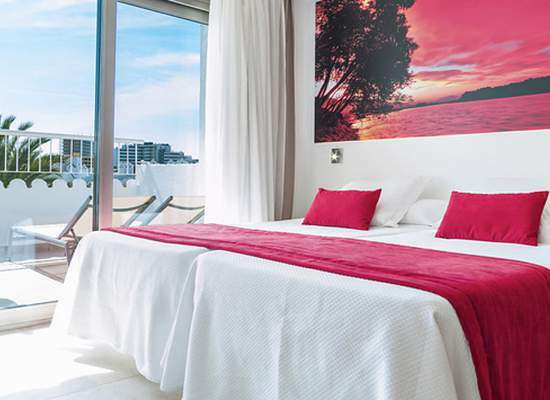 We are actually pretty sure you will love everything around the hotel, as we are located in Palmanova, a famous Majorcan beach area where the beach and the sun play the leading role. 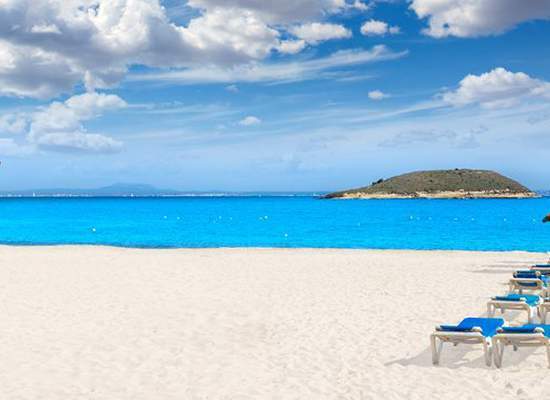 The beach at Palmanova is long and will amaze you with its white sand and turquoise water. The beach is so long that it actually is divided in three areas. If you are looking to spend a day by the beach about 5 minutes away from our hotel, we recommend you to choose the area called ‘Son Matias’. This is the most familiar area of the Palmanova beach and will sure meet your expectations. The other two areas of the beach are also beautiful and if you are going more than one day to the beach, make sure you visit all three of them. Once the Palmanova beach ends, the Magalluf beach begins. 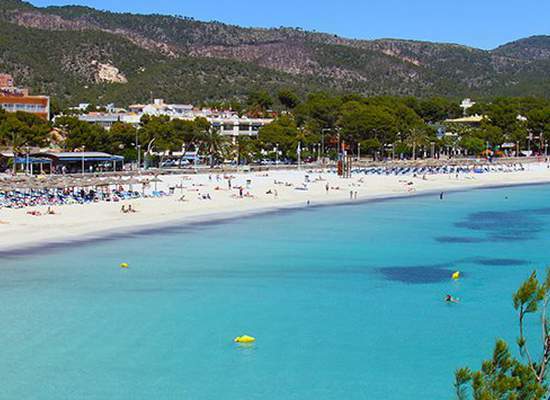 The beach in Magaluf is another long white sandy beach that you can visit during your stay at Cas Saboners. At Palmanova beach and also at Magalluf beach you will find all kind of services for you to relax and enjoy, such as sun beds, showers, beach umbrellas or fun water rentals such as pedal boats and other cool water sports gear to have a fun and spend the day in the water. In addition to these beaches near Cas Saboners you will find in both- Palmanova and Magalluf- a long and lively promenade filled with bars, restaurants and shops for you to take back some Majorcan memories, have an ice cream by the sea or go out for a nice family dinner. Of course we are more than happy to provide more tips at the front desk, so don’t hesitate to contact us! At Aparthotel Cas Saboners we have one clear aim: to make you spend the best holidays of your life in Mallorca. And one thing that is very important to us is not to leave out anyone when it comes down to enjoying a holiday by the beach. That is why for quite some time we have been catalogued as a ‘wheelchair and disabled friendly hotel’ in Palmanova. We are constantly looking for new ways to improve our ‘wheelchair friendly hotel in Mallorca’ status and will continue to work on it during this and upcoming seasons. Regarding all our rooms and apartments, everything you need to reach is accessible to grab, which means you can access wardrobes, kitchen tableware and countertop perfectly. In addition to providing these service, all our staff will also be very happy to help out on any other inconvenient you may find at our aparthotel in Palmanova, because the only thing that matters to every team member at Cas Saboners is to fulfil our guests needs to have you coming back year after year. With these special services for disabled we can proudly say we are prepared and well-equipped to provide a lovely holiday for you, but because of our constant evolving strategy, we would be more than happy to hear about further services we could be offering to make it a 100% enjoyable holiday for you! So, you’re on holidays. After a long (or not so long) wait you finally arrived at Palma’s airport and headed directly to our hotel where we were waiting with open arms. After you have settled into the apartment of your choice you are more than ready to start enjoying your well-deserved holiday and that’s why at Cas Saboners we are ready to tell you what a complete holiday-day looks like when you’re staying with us so get up, get ready and enjoy! Breakfast: we can not picture life without food and in our opinion a good day can only start with a good breakfast. That’s why after getting up, having a relaxing shower (that’s right, you do NOT have to rush, because you are NOT going to work) and putting on some comfy clothes, you go directly to our restaurant to have breakfast. Ask for the eggs you like the most, have some full English breakfast and try some of the world-famous Majorcan pastries, you’ll need the energy! Fun activities: next on schedule would be ‘having fun’. Yep! Every day at 11.00h we kick off your holidays with cool activities for adults and children. The ‘mini-yous’ will have a blast at the Kids Club while you enjoy such activities as dart tournaments, table tennis, archery, rifle shooting, waterpolo and more. Lunch: you have worked hard all year-long and you just deserve a treat and that’s why at the restaurant in Cas Saboners we offer you all kind of yummy meals for you to make the best out of your holidays in Palmanova. If you’re a meat-lover, you’ll be pleased; if you’d like to have some fresh fish, we can do that too; if you like to keep it healthy, we sure have some delicious healthy options and if you’re in love with pizza and pasta, you won’t be disappointed. The Cas Saboners restaurant just has something for everyone! Relax by the pool: afternoons at Cas Saboners are perfect to spend by the pool. The kids can play in our new water park, playground or keep enjoying the kids club’s activities while you soak up the Majorcan sunrays and feel the holiday vibes. We strongly recommend approaching the pool bar and have some of our colorful and tasteful cocktails while you’re on it! Freshn’ up & dinner: After a quick stop at your apartment to have a shower and just leave the bathing suits drying for tomorrow, you will come back down and have a large and delicious family dinner. The atmopshere by night is really cool, as everyone is in for some laughter while enjoying some big hamburgers, fish, chicken, salad or whatever they feel like. But the coolest moment actually takes place after dinner. At 20.00h the kids head to the ‘mini disco’ to dance it all out and socialize with other children. And for the rest of us there’s a live show going on: it’s time to sing and dance hits by Tina Turner, Tom Jones, Abba or Michael Jackson. And just in case you want even more night-fun: we host music quizzes, bingos, karaoke, ‘minute-to-win’ contests and more. One thing is clear: you’re going to bed filled up with holiday-Summer-feeling! As you probably already know, Aparthotel Cas Saboners is located very conveniently about 25 minutes away from the Majorcan airport in Palmanova. 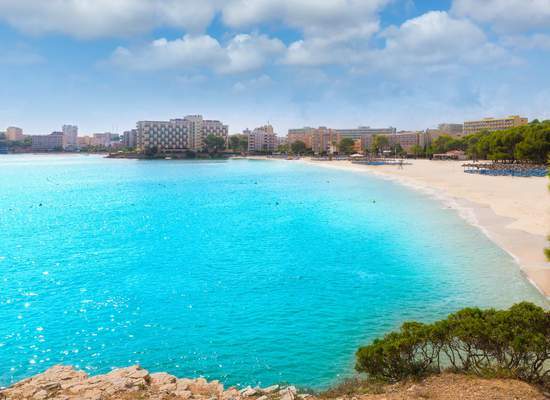 But in addition to being close to the airport and also close to some great beaches (check out our ‘best beaches near Cas Saboners’ article), Cas Saboners is also pretty close to the capital city of the Balearic Islands, Palma. First stop: La Seu Cathedral. If you have done some research you are probably aware of the world-famous cathedral we are so proud of here in Mallorca. La Seu stands out from its surroundings and truly is a demonstration of the might of Mallorca's Christian conquerors to all who arrived by sea. If you can, please enter, because you will be amazed by how the light pours in through the rose window - one of the world's largest, 12m across and studded with 1,236 pieces of stained glass. Next stop: Palma’s old town. 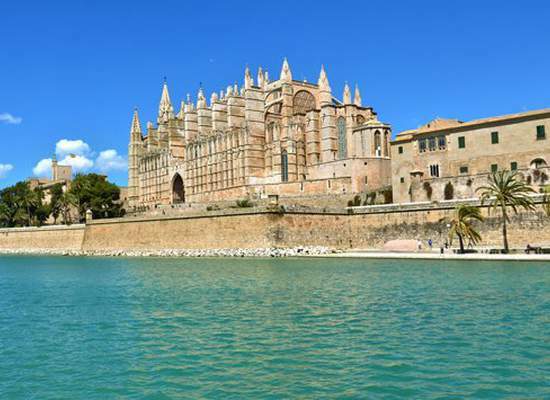 You will quickly see that there is so much more to Palma that you can imagine. When we talk about ‘Palma’s old town’ we are saying you should try and get lost in its little quirky streets filled with galleries, cafes and boutique shops. After visiting the Cathedral you can easily walk towards Passeig des Born, San Jaime and Ramblas. Third stop: shopping tour Jaime III. When walking on Paseo del Borne in the opposite direction of the sea, you will quickly see that this street, also known as ‘the Golden mile’ ends at a fountain. 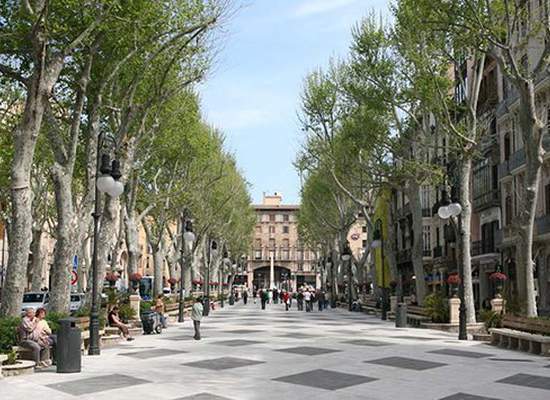 Once you get there, just turn left to follow one of the main shopping streets there is in Palma. This street is called ‘Jaime III’ and one of the things we love about it is that you’ll find something for every family member and budget. From expensive boutiques to normal-priced shops Jaime III is where you’ll be spending your shopping-trip. If you want to shop some more we recommend you to head to ‘San Miguel’, a pedestrian street filled with little nice shops. Last stop: Castell de Bellver. Once you’re done with Palma’s old town, it’s time for one last stop before heading ‘home’ to Cas Saboners. Take the car out of the parking and put ‘Castell de Bellver’ into your GPS. It is awell-preserved 14th-century royal fortress with fragrant pine woods, an interesting museum and superb views over Palma Bay that has been standing for over 700 years. Begun by Jaume II in 1300 and built by Pere Salva, the architect of the Almudaina Palace, it is unique among Spanish castles in being entirely round. 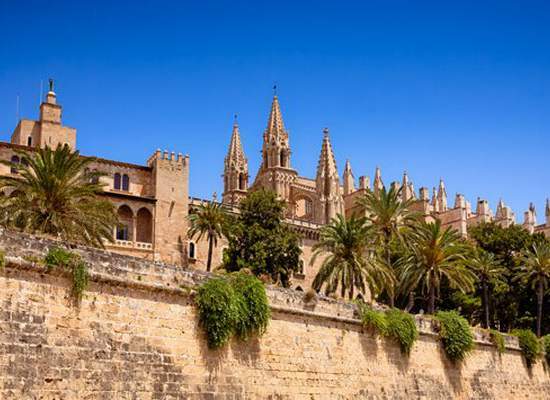 We know it has been a long day and there is –indeed- much more about Palma you could go discover if you have more time, but for now we think you have had a lovelt impression about the vibrant capital city of the Balearic Islands. 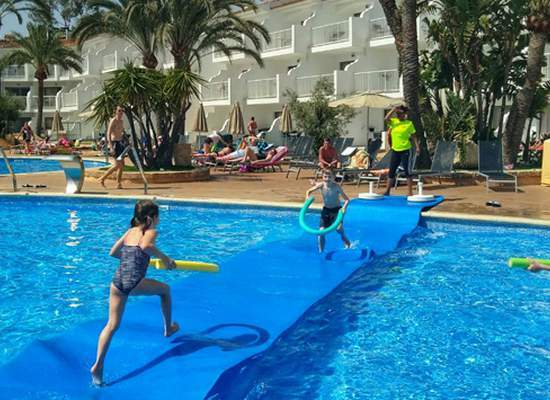 If you’re heading over to Mallorca with your little ones and your staying at this family-friendly paradise called Cas Saboners you sure have tons of fun guaranteed for your and your mini-me’s. But in case you are planning on doing even more than enjoying our pool and having them participating at all the activities from our kids club, here’s some of the most fun activities for kids near Cas Saboners. Katamandu: voted the best amusement park in the Balearic Islands and #2 in Spain on TripAdvisor, Katamandu Park awaits with tons of adventure and fun for the little ones. 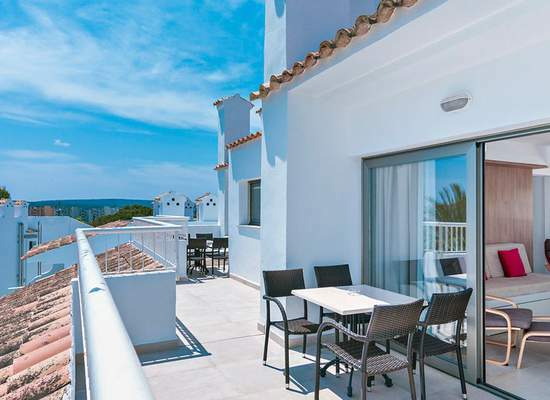 Conveniently located in the heart of Calviá Beach and only 250 metres from the sea, you will be able to enjoy “freedom to play your way” with flexible ticket options. This theme park offers over 10 attractions and sure has the power to create some ever-lasting memories. Western Water Park: when it comes down to wet fun, Western Water Park sure is the place to visit. 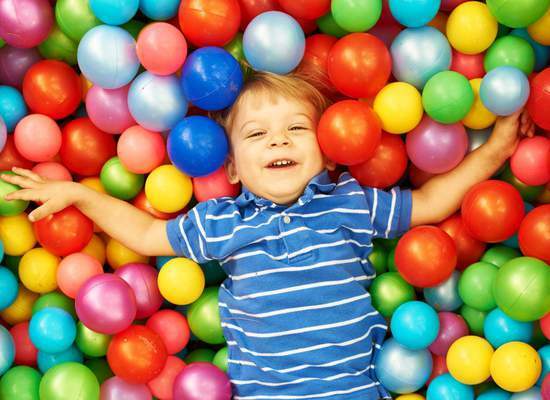 Divided into ‘Adrenaline fun’, ‘Family fun’, ‘Kidzworld’ and ‘Chill out & play’, has something for every member of the family to leave with a big smile on their faces. It is open from 10h to 18h in July and August and until 17h un May, June, September and October. Golf Fantasia, Palmanova: Since 1989, Golf Fantasia has been the mini-golf to go to when staying near Palmanova. And as Cas Saboners is only 4 minutes away, you will love to enjoy a nice afternoon golfing away with the kids. They have three different tropical courses to choose from and also have a bar with snacks to take a break if the golfing gets too intense! Pirates Adventure: the family-experience everyone’s talking about. 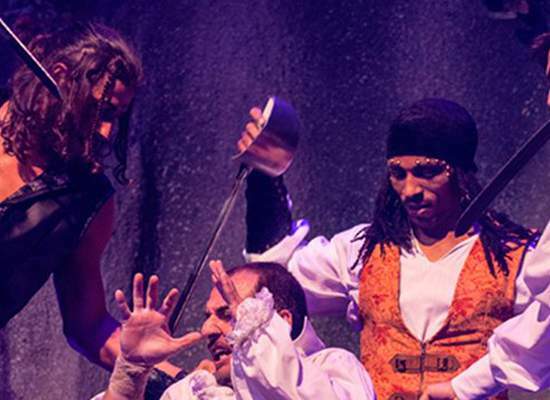 ‘Pirates’ invites you to get lost in the adventure with acrobatics, dancers and actors who will make you spend a magical evening. Jump on board the Hispaniola and take a magical journey through a time when Pirates ruled the Seven Seas! Karting Magaluf: if you’re little ones like to go fast, this is the perfect plan for them. Suitable for all ages, Karting Magaluf offers you a world of high speed to experience karting like you never have before. As you can see, there’s lots of things to do near Cas Saboners and we will be more than happy to help you out at our front desk too! When arriving at Cas Saboners –your hotel in Mallorca- we want you to be able to say: ‘starting now I don’t need to worry anymore’. Because that’s exactly what you would expect out of a holiday, right? Leaving your daily worries and problems behind and just do one thing: HAVE FUN BIG TIME! If you are on the same page with us when it comes down to this definition of holidays, then you will really like what we have to tell you today. Because today we would like to tell you all about our restaurant. It is important for you to know that when you book your holidays at Ca’s Saboners you have complete freedom to have breakfast, lunch or dinner wherever you want. 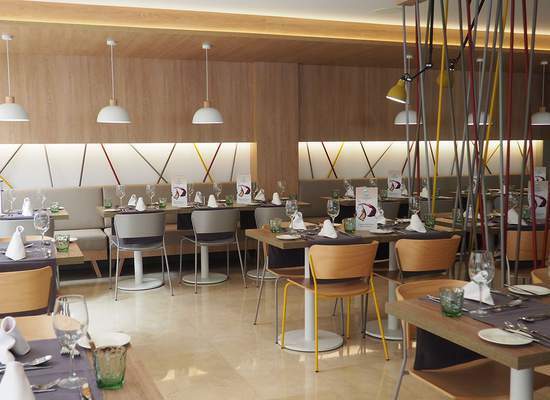 As you already know, Palmanova is just a couple minutes away and there is plenty of dining options for you to enjoy. BUT – yes, there is a but, because there’s always a but- you also have another option: having breakfast, lunch and/or dinner with us. Nothing says holiday out louder than making good use of our facilities, which of course include our restaurant. At the Cas Saboners restaurant you’ll find all kind of dishes and options for grown ups and our adorable little guests. Our menu not only includes the typical dishes you have back at home, but also a wide selection of Spanish, Majorcan and international dishes to discover a whole new world while having a nice lunch or dinner at Cas Saboners. And the best part of this is that we aren’t even expensive! We know how important it is to keep a holiday on a budget and as we want you to feel like at home at Ca’s Saboners we offer you a very competitive price for you not to leave the Saboners-building. So what do you think? Can it get any better? Book your holidays with us now and enjoy Ca’s Saboners from beginning to end! If you’re heading down to Cas Saboners this Summer you probably already know that if there’s one thing you don’t have to worry about is getting bored. At Cas Saboners we offer you not only our superb facilities, but also a full program of cool activities for adults and children to duplicate the holiday fun! It is very important for us for you to make the most of your Mallorca-holiday at our aparthotel and that’s why we’re constantly looking for fun and entertaining activities for your children to have a blast and for yourself to build some ever-lasting memories. So as we know that you like to plan things out, we thought we might give you a little sneak peak of what a week of activities would look like at Cas Saboners so you can be sure of what to choose when visiting us here in Palmanova. At 11.00h we get things started with a darts tournament, followed by a Sjoelen tournament at 11.45h, only to welcome our well-known cocktail game ‘Rings’ at 12.30h. We take a break from 13.00h to 15.00h and then bowling is on the schedule. At 16.00h it’s air hockey tournament time. Rifle shooting kicks off the day and then table tennis is on. At 12.30h like every day there’s a drinking game going on, it’s ‘tennis balls’ on Tuesday! At 15.00h we do aquagym and fitness and finish off with water games at 16.00h. At 11.00h you can come and practice archery and then it’s time for darts tournament. Cocktail game today is ‘Crazy Sjoelen’ and at 15.00h we do some hand crafts and finish big time with the Sjoelen tournament. we kick off the day with rifle shooting, then play some air hockey, do the cocktail game ‘rings’ again and repeat on fitness and aquagym and the popular water games at 16.00h. First thing in the morning at 11.00h is archery, followed by a darts tournament, the cocktail game ‘mini-mini golf’. Then it’s time for some t-shirt painting from 15.00 to 17.00h. At 11.00h it’s time for some rifle shooting, followed by a waterpolo match and the cocktail game ‘human target’, after which we play some water ball from 15.00h to 17.00h. Just like Friday we kick off with some archery, but then it’s time to exercise and do some fitness and aquagym. At 12.30h as usual it’s time for a cocktail game and todays is called ‘box & points’. At 15.00h we go with a billiard tournament and finish off with water games. It is important for you to know that that we host 4-5 live shows every week at the evening after the daily program with cool tributes to Tina Turner, Tom Jones, Abba, Michael Jackson in addition to welcoming some very fun magicians, hosting music quizzes, bingos, karaoke, ‘minute-to-win’ contests and more. So there’s not really much time to think about nothing else than HAVING FUN BIG TIME! And of course the kids get some of the best parts of our weekly activities program. In addition to being able to participate at some of the activities we already mentioned, they get their own ‘mini club program’ which is active every day from 11.00h to 17.00h ‘just as mom’s and dad’s’ so every member of the family can just do whatever they feel like doing without having to worry about anything else! The miniclub program includes cool activities with some of our staff members such as face painting, non-alcoholic cocktail games, Disney colouring, water game, crafts, playing water ball, water balloons war and cool thematic days such as ‘Indian day’ or ‘Superhero day’. Kids also get to experience something similar to nightlife at our mini disco which starts every day at 20.00h. Feel free to ask us for any further information about our facilities, staff or activities by emailing us at recepción@cassaboners.com. And don’t forget to follow us on Facebook and Instagram and share all your coolest #cassabonersmoments! The 2017 season is definetly fully on and we are so happy to be welcoming all of you at Ca’s Saboners :D If you’re staying right now or you’re coming soon to Ca’s Saboners there’s always some things we can share with you to make the most of your holiday. And today it’s all about the beaches you’ll find near Ca’s Saboners. If you’re not thinking about renting a car you’ll find two beaches very close by you can reach by foot. The first would be Palmanova. This is a beach we love because it is always clean and its white sand and blue and turquoise calm water is just perfect to go with the whole family. In addition to the beauty and fun the beach itself has to offer, you can also rent sun loungers, umbrellas and many water vehicles to explore the area a bit. Second beach you can reach by foot is the beach of Magaluf. We know you probably heard Magaluf is the ‘party place’ for tourists around here, but the beach is not only stunning but actually very quiet during the day. There can always be a group of people partying a little bit, but you will see when you get there that you can perfectly lay on the beach, play around with the kids and dive into its blue water. And if you’re actually renting a car, we have also some beaches that are very close by we would love for you to take a look at. Camp de Mar is a very family-friendly beach you’ll find near Ca’s Saboners and we recommend you save a whole day to enjoy it. With a restaurant located on top of the water and another one at the beach you will be able to have lunch there and let the little ones get all that energy out jumping around the sand and diving into the calm waters. El Mago is a small cove located about 15 minutes away from Ca’s Saboners that will amaze you with its natural beauty. The mix of the colors of the sea and the surrounding rocks and trees make it one of Mallorca’s most beautiful beaches. Be careful, because in high season it can get a little bit busy. ‘Punta Negra’ is a small rocky peninsula located in Calvià, right between Palmanova and Portals Nous. Both of its coves are not very frequented which is why it is the perfect little get-away from the hotel in the afternoon.